Veterans Day always provides a special opportunity to remember, honor and give back to those who have made sacrifices to fight for our nation – but for those at the Northwest Louisiana (NWLA) Fuller Center in Shreveport, Veterans Day is every day. “Veterans who have served our country have sacrificed so much in service to their country, and oftentimes those veterans do not get the respect that they need and deserve,” Director of NWLA Fuller Center Lee Jeter said. The NWLA Fuller Center is fulfilling that obligation in two major ways. First, they’re partnering with the local Volunteers of America to help house veterans on recently donated land that’s been designated as veterans’ property. As part of the partnership, the veterans first receive help from the VOA, which runs a transitional housing program for veterans who have been homeless or down on their luck. When the veterans finish with the program, the NWLA Fuller Center works with them to build decent and affordable housing on the donated land. Jeter said the local Fuller Center has also recently entered into a Memorandum of Understanding with the local veterans hospital. As part of the understanding, the hospital identifies veterans who need rehabilitation assistance on their homes. This unique partnership allows veterans to stay in their homes and out of nursing homes for as long as possible. 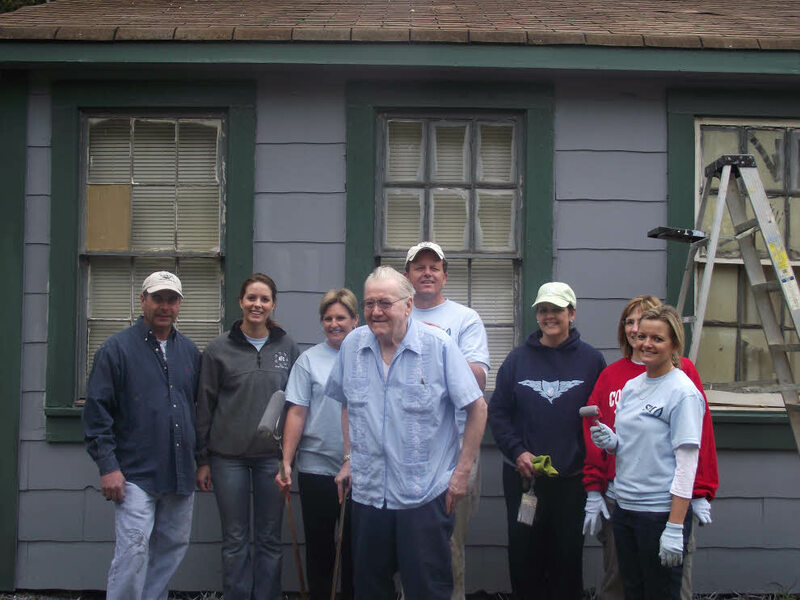 Gerald Pierce, a 71-year-old Air Force veteran who served in the Vietnam and Korean War, recently has his house repaired during the Millard Fuller Legacy Build. Jeter, who served in the Marine Corps for 21 years and is now a veteran himself, said he has a heart for helping other veterans. His passion for this service has been infectious to other members of NWLA Fuller Center and to people throughout the community.